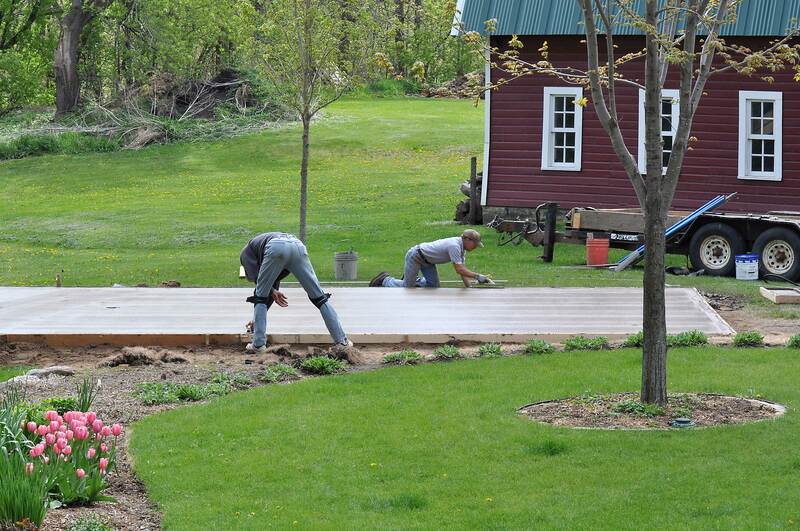 We are constantly fixing, changing, and adding things here around the farm. 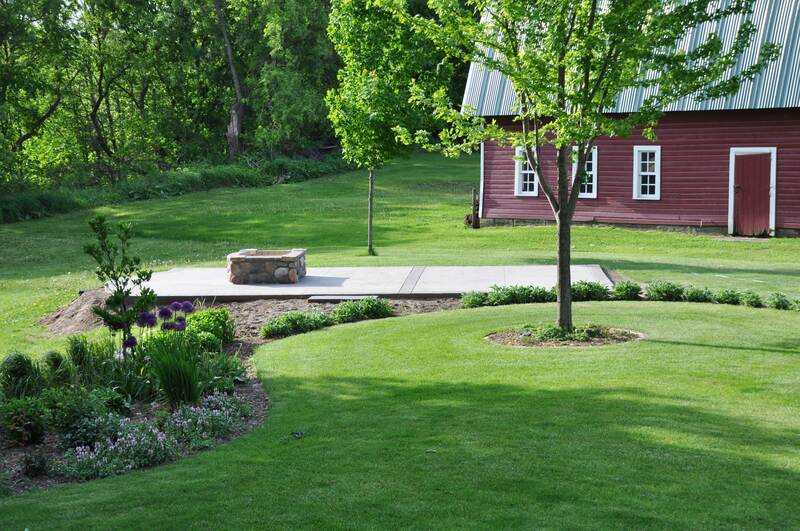 The big project that we wanted to tackle this spring was the addition of a free-standing patio and fire-pit area. After a little brainstorming with my uncle over a design, we decided to get started. 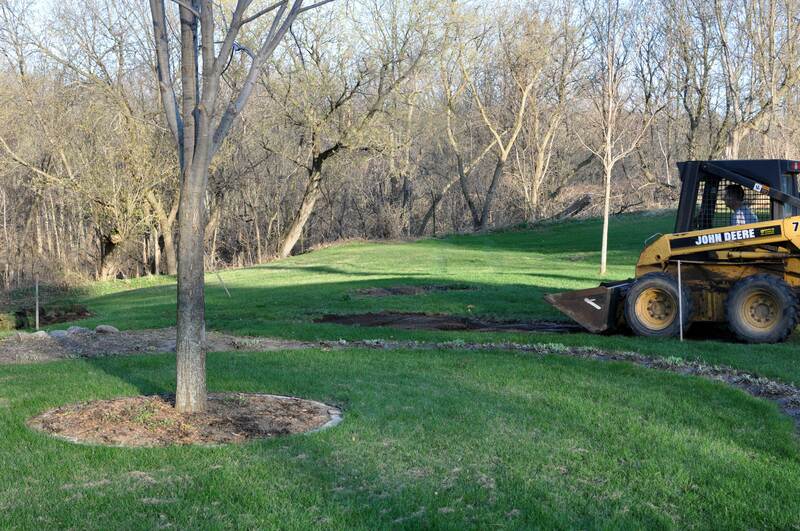 We staked out the area and I started by peeling the sod off and getting the space to the proper grade. 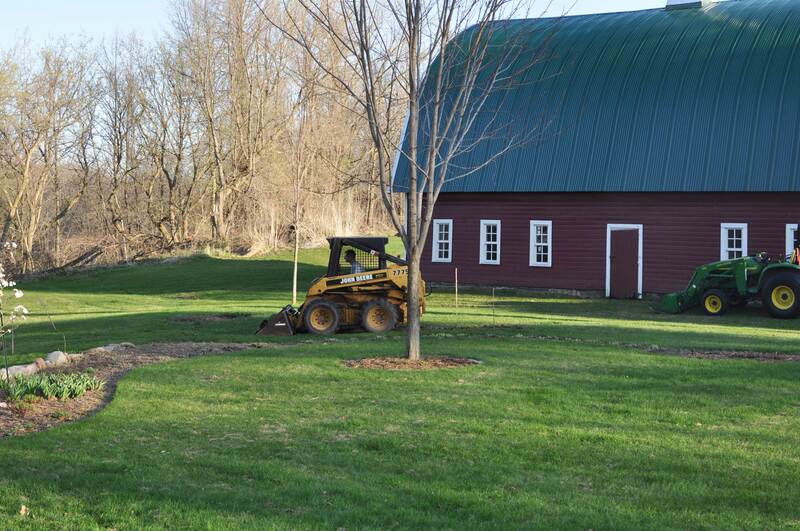 Of course, any excuse to use power equipment always makes the job more fun. 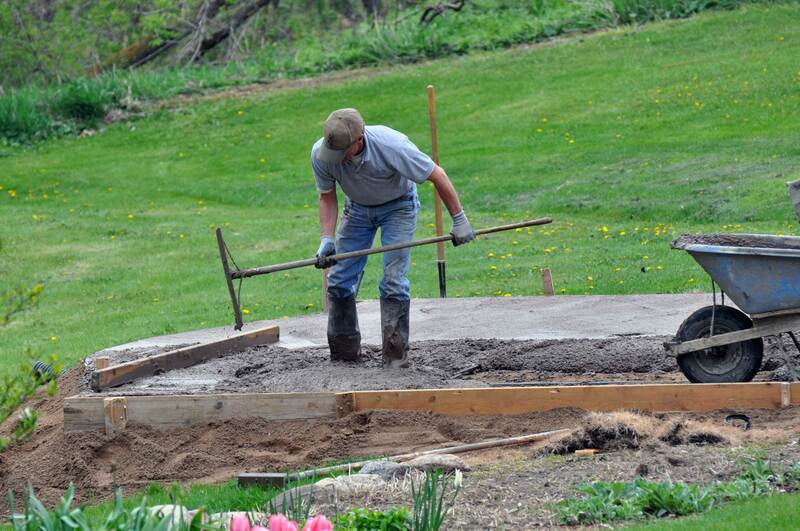 A layer of gravel gives a good base for leveling and packing to just the right depth. Together with my uncle, we framed up the patio area and prepared it by laying out the re-bar, which helps to strengthen the concrete. We also dug in a drain tile to provide drainage for the fire-pit. 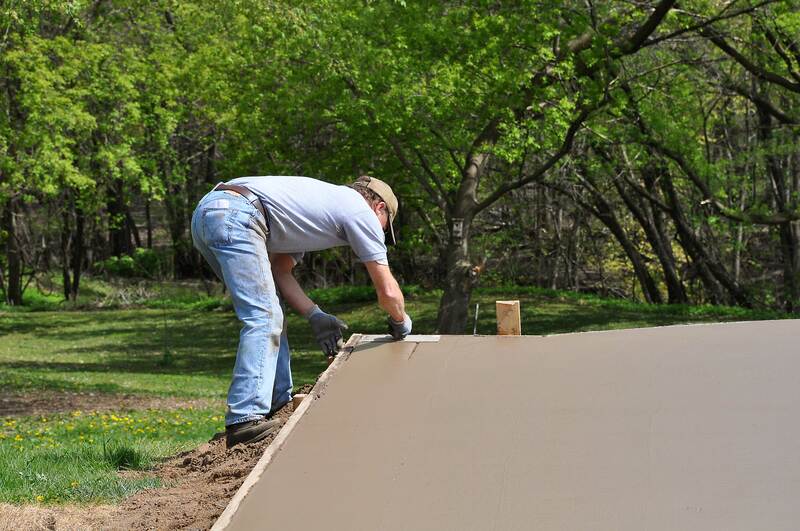 There have been so many advances made in the world of concrete. 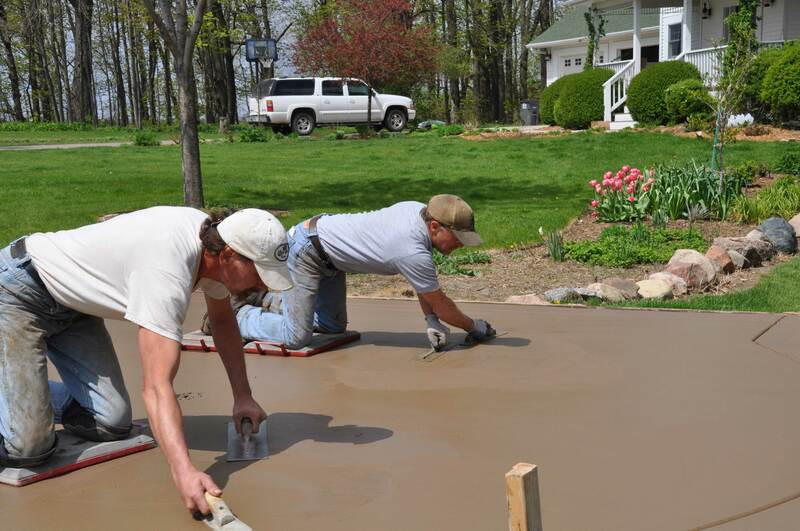 No longer are you limited to just the standard gray color of concrete. After perusing the available color palate, we decided on a clay color. 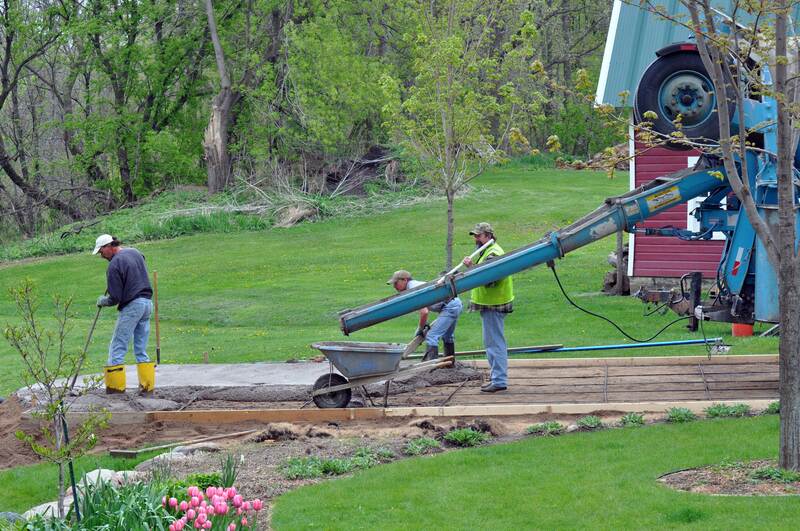 Once the concrete arrives, the hard work really begins. I left that part to the professionals, but I did try to look busy the whole time. 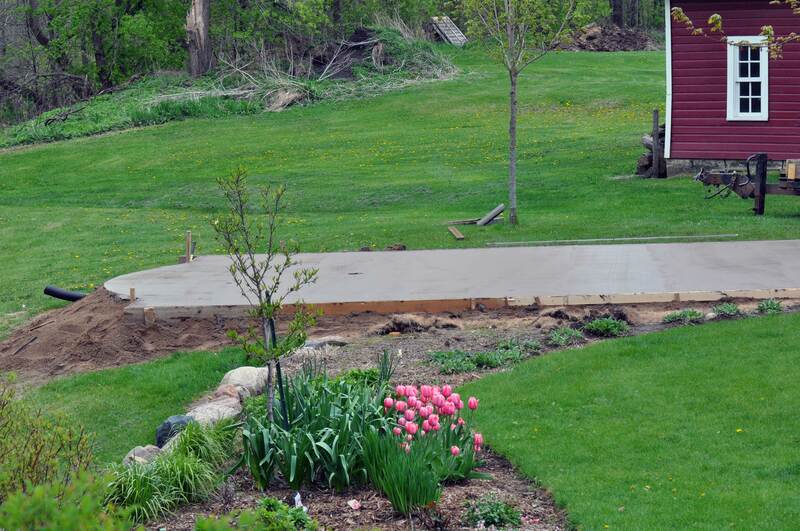 The concrete was poured and leveled. 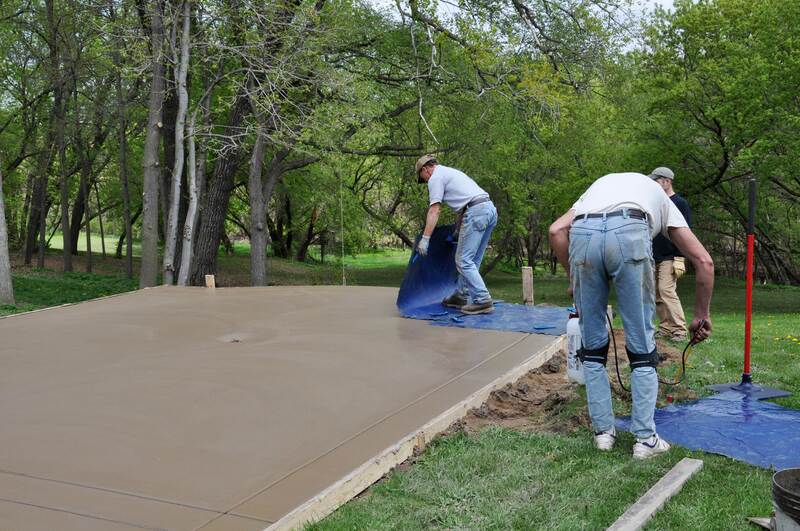 After the concrete is all in place, the bull float is used to create a better finish and fill the smaller voids. 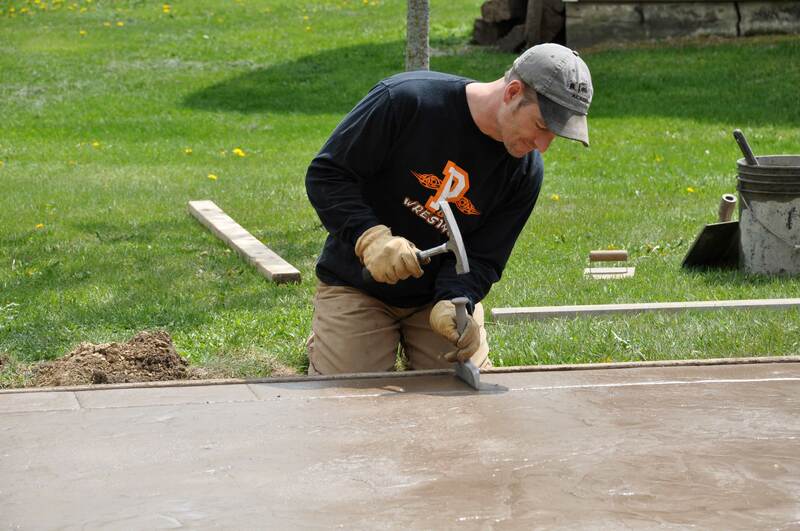 The edger is used to separate the framing from the slab and to give a nice rounded corner. 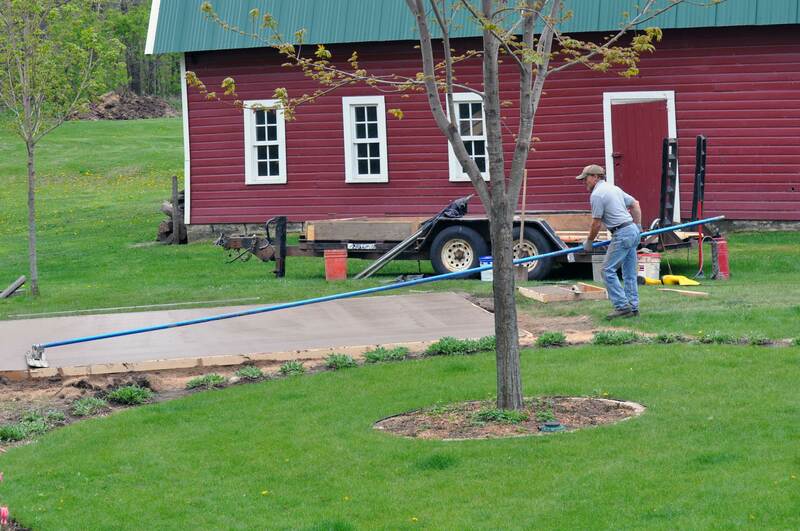 An additional wet cut is made to create a border pattern around the entire slab. The concrete is now cured far enough to do the finish float work, which takes some real expertise to create a nice even finish. Not finished yet! Now begins the stamping part of the process to create an amazing natural slate appearance. 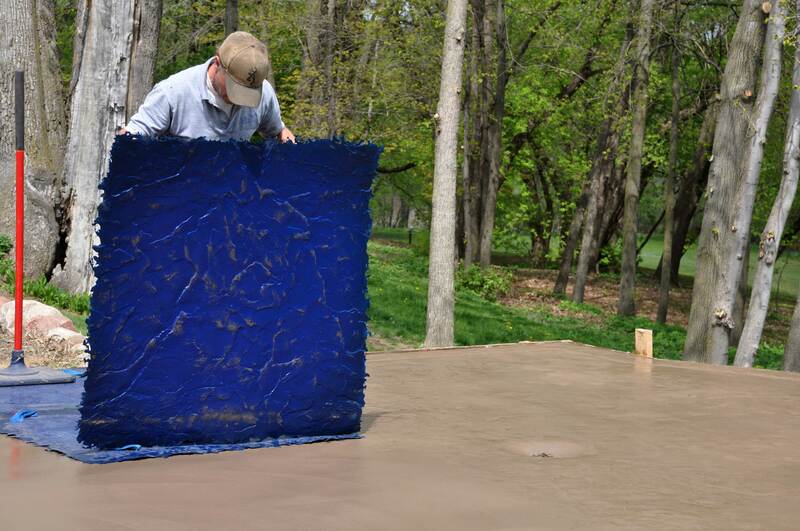 It’s a bit like a jig-saw puzzle, working back and forth across the slab, racing against the fast curing concrete. Additional random cuts along the border give a real hand-built artisan look that only a true master can achieve. 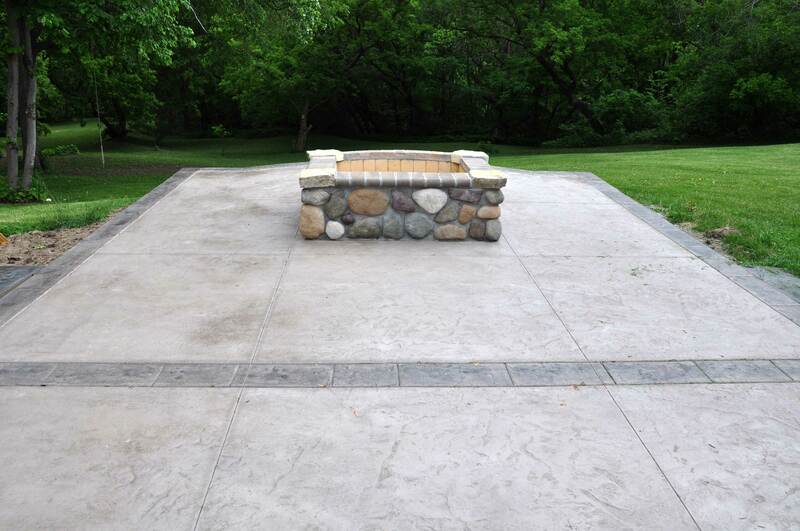 Color was added to the border for an additional accent, and somehow the fire-pit magically appears (after another few days of expert work by my uncle)! Look at that nice view towards to river and the mosquito breeding grounds. Absolutely an amazing transformation, but looks a little barren. 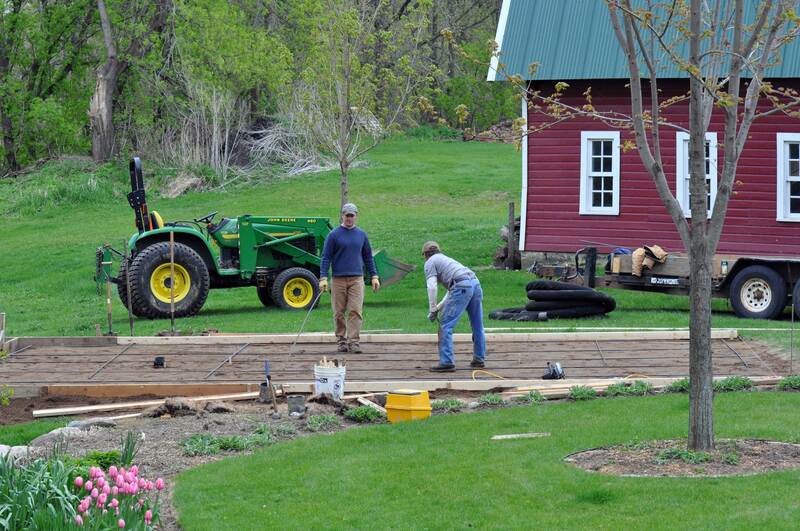 Boulders are on order and will be placed with the help of a little extra muscle. Notice that from beginning to end the trees have somehow managed to fully leaf out. Time to start a fire and roast some marshmallows!